Twelve of 30 positions in the department's leadership chart are vacant or being filled on a nonpermanent basis. 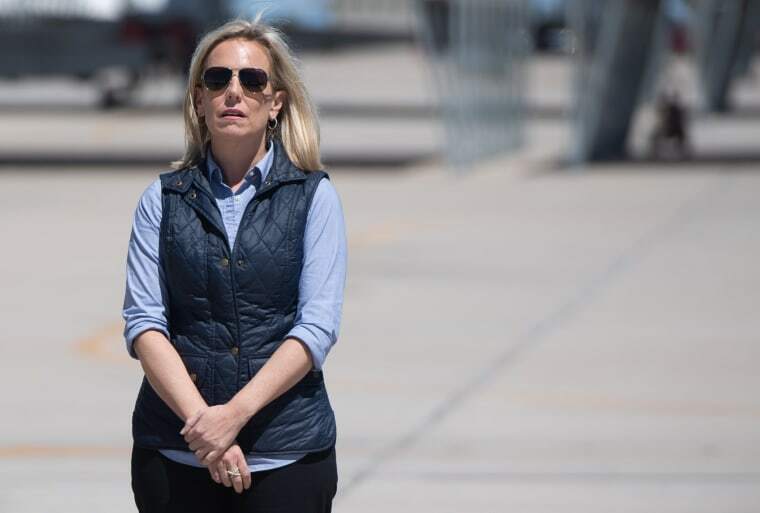 President Donald Trump’s Homeland Security shake-up has left almost half its senior leadership in the hands of temporary administrators. The resignation of Kirstjen Nielsen as the department’s secretary and the appointment of Customs and Border Protection Commissioner Kevin McAleenan as acting secretary, coupled with the departure of Secret Service Director Randolph Alles, means that 12 of the 30 leadership positions on the department’s organization chart will have been vacant, replaced or filled on an interim basis. The chart below lays out the positions in the Homeland Security org chart. Read the latest news on the Department of Homeland Security.